If you haven’t heard, every year Area 5 hosts an annual Rendezvous and you and your friends are invited to attend. This year the theme is Mythology where you can explore Roman, Greek, Norse, Egyptian, Celtic and Native American Cultures. We are creating a once in a lifetime experience for you and your friends to enjoy. Price is only $45.00 per person, But you can take advantage of the early bird discount of $40.00 now through April 30th. A late fee of $5.00 will be added starting May 15th. Our very own camp-wide Olympic games! Make ambrosia and nectar – the food of the gods! …and so many more fun and exciting activities! Our Hawk Mountain Camping trip is just a day or two away. Specifics about the location, directions, and such can be found on the calendar event linked below. 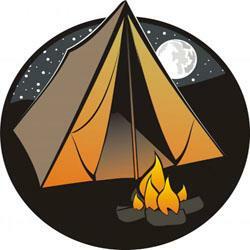 The camping trip is from Friday September 18th through Sunday September 20th at Hawk Mountain Scout Reservation. Current weather forcast indicates it will be a little chilly and we will be up in the mountains, so it is important that you plan accordingly.